Do you need to collect feedback for your products/service? Or do you need to create a form for event registration? Or do you need to create application form or contact form for your website? 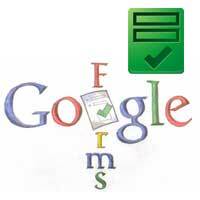 Google Forms is an all in all solution to quickly collect information from public, colleagues, friends and customers. Creating Forms in Google Drive is very fast, simple and it looks more professional. You can share the form anywhere and collect responses in an online spreadsheet. You can share the form to social networks, you can email the link to your friend and you can embed it in your websites and blogs. We have covered a topic about creating Forms in Google drive and embedding it in to a blog. Here let’s see how to insert images into Google Forms. Google Forms are particularly very useful for educational purpose. By adding images and videos you can educate students. For instance you can create a picture quiz for your students and ask them to point out the places, names and things. If you refer this article then you will get an simple idea to create forms in Google Drive. Step 1: Login to Google Drive click on Create >> Form >> choose your template and then click ok. Step 2: Now you will have a basic form. Enter the title for your Form and then choose a question type, question title, add your help text and click on done. You can add as many fields you want and there are 13 items to choose from. Step 3: To add an image or video in your form, just click on add item and then choose whether image or video. Step 4: You can insert images in to a form in three ways that is you can upload from your computer, take a snapshot, by URL, or from your albums. You can choose YouTube to embed a video in your Form. After you add an image you can choose image title, hover text and you can also change the image placement (align left, center, align right). When everything is done click on send form and you will be provided with a link to your form. You can share it to social networks, email contacts and you can even embed it in your blog. All the responses will be recorded in a spreadsheet and saved in your Google Drive. Look at this sample form created in Google Drive.